Hello there! 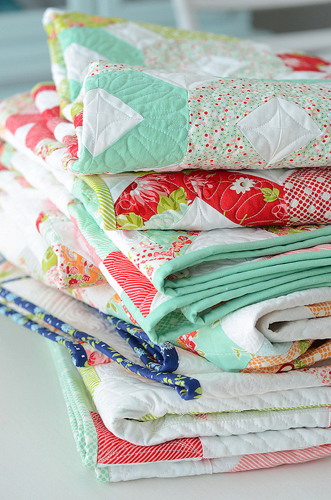 My name is Camille Roskelley, and I am so excited to meet all of you here at WeAllSew! 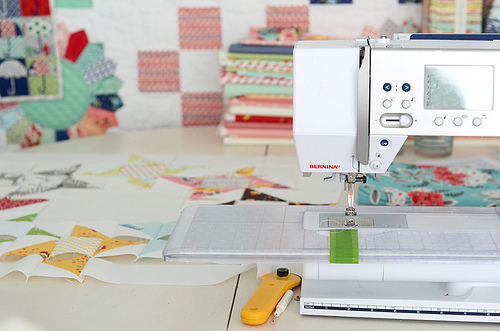 My grandma taught my mom to sew on a BERNINA, I learned to sew on a BERNINA, and when I bought my first sewing machine, it was, of course, a BERNINA. It was love at first stitch for all three of us! 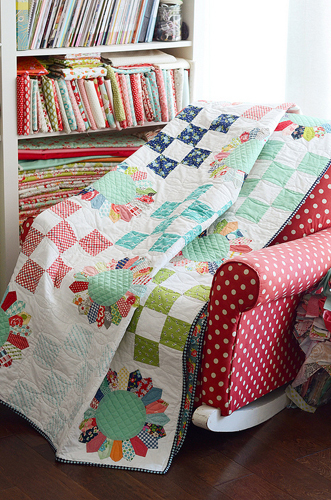 I learned to sew when I was 5 or 6 years old, and my love of quilting started 16 years ago. 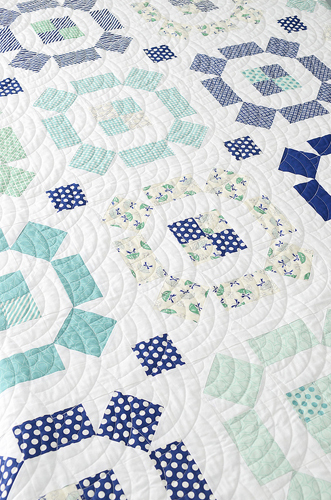 I started my pattern company, Thimble Blossoms, back in 2007 and have since designed 70 original quilt patterns. 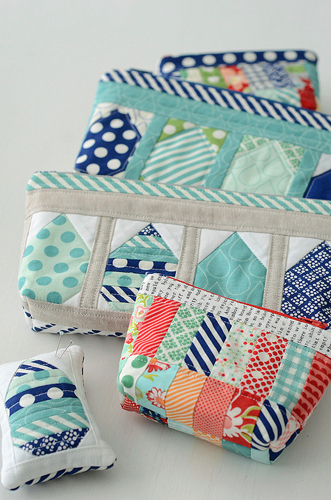 I recently started a new series of remaking all of my patterns as mini quilts and hope to share some of these with you (as well as plenty of other fun quilting projects) here on WeAllSew! I grew up in a small town in southeastern Idaho, and loved the pace of living in the country. We have since moved our family to a busy city, and while we love it here, it is nice to be able to escape the city and retreat to my sewing room. When we aren’t at Little League games, that is. 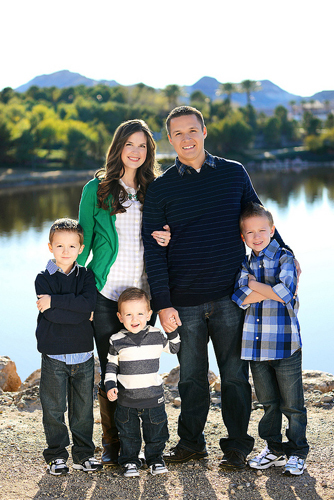 Life is always busy over here with three little boys that are growing way too fast! My two older boys already love to sew, and have mastered the ¼” seam. My mom and I have been designing fabric together for Moda for about six years now and just turned in our tenth fabric line, which I can hardly believe! Working with precuts has become a love of mine, and most of my projects are based around those delightful little bundles. 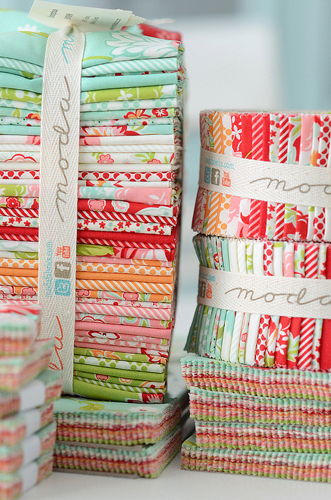 Can you ever have too many Jelly Rolls? Impossible. 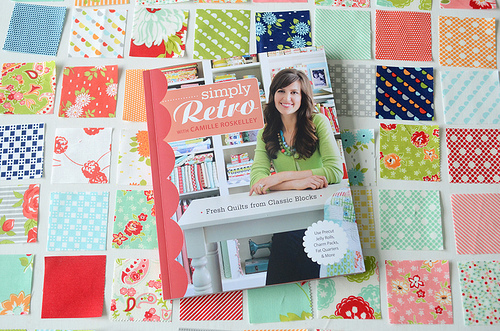 In the past few years I’ve written two books with C&T/Stash books, Simplify with Camille Roskelley and Simply Retro. I love photography, and was so excited to photograph both of my books. Quilting and photography have to be the best combination ever! 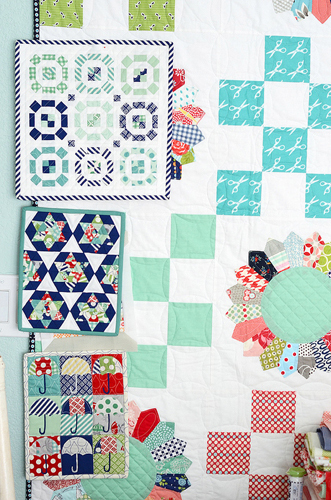 I also teach quilting classes over at Craftsy and love getting to know my students and see what they are working on. 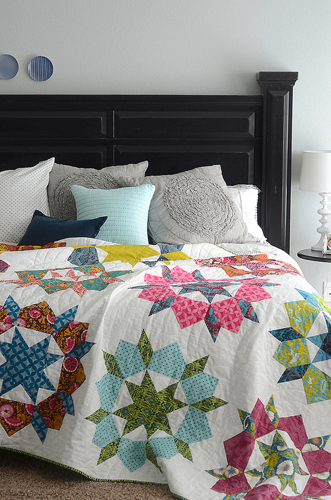 I am often asked which of my quilts is my favorite, and it changes a lot. 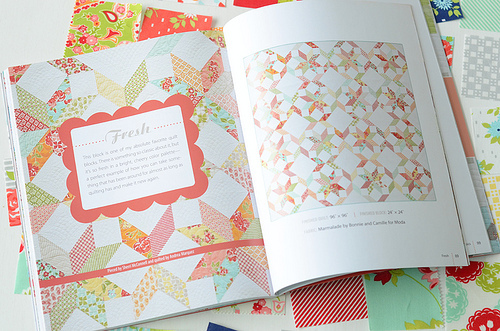 Right now I would have to say my Swoon quilt, or the Field Day Dresden quilt I recently made for my second Craftsy class. 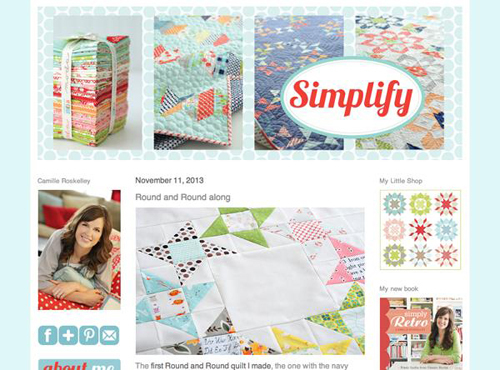 I started my quilting blog, Simplify, back in 2008 and immediately fell in love with the online sewing community. Is there a better group of people out there? I don’t think so! The support and encouragement I’ve received in everything I’ve done over the past several years has been amazing, and I owe so much to my quilting friends! On any given day you can find me and my sewing room over at my blog or Facebook, and more often than not, Instagram I hope to meet all of you soon! Thank you so much for having me, BERNINA! Previous Previous post: What can you do with a Magical Paradox Zentangle? Make a personalized bag!